Starting a blog is all about having something to share. Anyone can set up Bluehost and give their website a place to live on the Internet, but creating blog content is the what makes you a blogger. You don’t need fancy degrees or an extensive background in anything, but as long as you are creative, work hard to share quality content, and give people something they want to come back to, you’re going to be a great blogger. This all comes down to learning how to write a blog post. When I started blogging, I blogged about anything and everything. I got some readers but most of it was only read by family. Over the last 3 years, I’ve learned what works and what doesn’t when it comes to creating blog content. 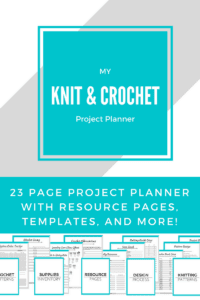 My blog is about knitting and crochet, and sometimes I throw recipes in there too, but here are a few tips on how to write a blog post about anything! Before you start writing, find out what you want to share and what people are already looking for. You want content ideas that are already at the top of people’s minds. You want something you feel excited and happy about. When I’m looking for inspiration, I go to Pinterest. Pinterest is a visual search engine so it’s easy to see what’s popular and what people are gravitating towards. When I start looking for ideas on Pinterest, I start with something I’m already interested in writing about. For example, I’m all about crochet beanies right now and I want to create more patterns for them. I look up a generic search term like “crochet beanie” and look at the first page of results for a couple images I like. I try not to scroll past where that first page ends. You can end up scrolling for ages if you just keep digging. But, I pick a few things I love about top pins. What did I like most about them? Who is this image targeting? And how? Are there any styling/photography tips I can use from these? You’ll notice that there will be a lot of repeats or similar images at the top of your results. That’s how you can pick out what’s working for others. Once I have that figured out, I can start designing and coming up with something of my own. Looking at what’s already doing well helps me understand what my target audience wants to see. It gives me inspiration and helps guide the process so I’m not scrambling to make something no one’s interested in. Start a running list of ideas you get for writing blog posts and add as much detail as you can. You don’t need to flesh it all out, but write down what the idea is at the moment you think of it so that it’s there for future reference. I come up with a lot of ideas at night; I’m a huge night owl and when I can’t sleep, I start doodling crochet patterns in my mind. Sometimes, I think of colors I like together and what they remind me of – I jot it down on my list. Other times, I think of a feeling and how it translates to me visually – I write down the feeling and what I imagine. Sometimes it’s an idea a friend mentions or something I saw on TV or something someone requested. Whatever it is, if I like it, I write it down so I don’t forget. Half the job of learning how to write a blog post is having ideas to write about even when it’s tough. This list is great when it comes to planning ahead. As much as I’d love to just whip out new content every week, a lot more time goes into it than you’d think. So plan ahead and have ideas even if it’s for the next season or the next month. When you get time to work on them, you’ll be glad to have that idea ready for testing instead of trying to think of something new. I’m currently working on Winter ideas, but I have a few Spring designs already. The BEST kind of content you can share with your audience is a post that helps them solve a problem. This is the #1 thing I learned when I was figuring out how to write a blog post that got shared and re-shared. Position yourself as an authority and write about what you know how to do, and the best way you know how to do it. 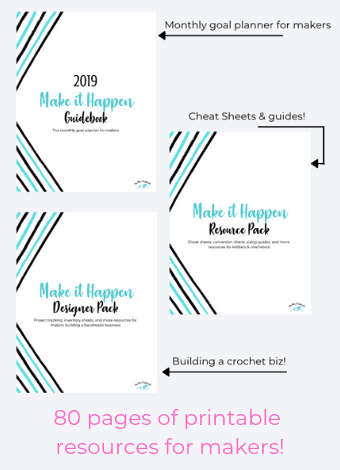 Creating fun beautiful crochet designs and delicious recipes is one thing, and it will get you views. 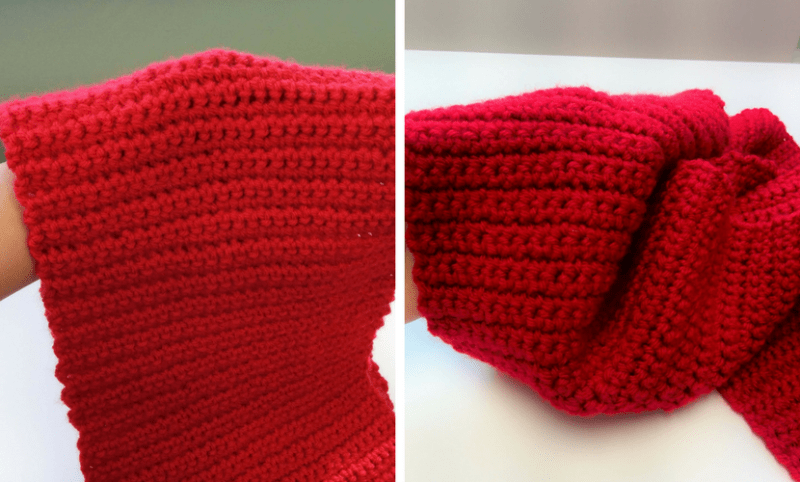 The people who come to your blog looking for beanie patterns will be happy but think about how much more useful it would be if you SOLVED something they’d been struggling with. They would LOVE you and TRUST you, and most importantly, they would keep coming back because your content was useful. So how do you know what problems to solve? When you’re justing starting out, you probably don’t have an audience to ask. So look back at the things you had trouble with and how you do them now. I had the worst time sizing hats when I started knitting/crocheting. I could not for the life of me get them to fit anyone they were meant for. But then I figured out how to measure and construct my hats so I never had that problem again. Then I wrote a blog post on what I learned and created The Ultimate Guide to Sizing Hats! The same thing goes for how I learned to soften cheap acrylic yarn and that’s one of my most popular posts. You don’t have to know everything to have a blog, so don’t be afraid to share something new that you’re trying or struggling with. Share what you’re up to, what’s inspiring you or a goal you have. When I started blogging, I didn’t have a specific topic or niche. I just wanted to document the ten thousand projects I was working on. I talked about food and home renovations, about DIY ideas and refinishing thrift furniture… you name it, I wrote about it! Then, I shared my first crochet pattern when I wanted to try my hand at designing something myself. I worked on the pattern, tried to describe what I did as best as I could and I hoped people would like it. And they did! They loved it, in fact, and it gave me the motivation to keep going. 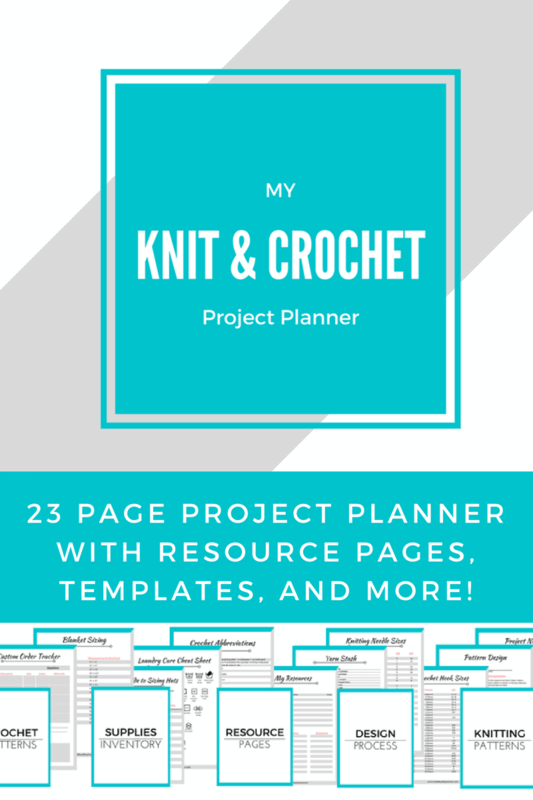 Now, my blog is known for crochet patterns and I’ve learned and grown so much since then. Whatever you do, remember that you started blogging because you have something to share and you love what you do. Some of the best content comes from loving your craft and being excited to share, so don’t overthink it. Figuring out how to write a blog post that work for you can be a bit challenging at times. Use this tips, but do what you think is best. Most of the time, you’ll be just fine making and sharing the things you love, and your audience will love it too! This is my favorite post on the blog. It wasn’t one I worked extra hard on, it didn’t get a ton of views at first, and the pictures aren’t great because I never intended to post it. But, I made these gloves for my niece and I made them perfect for her. The colors, the design, the yarn choice are all things that I had fun with, and they made me happy. When I gave them to my niece, she was THRILLED and put them on immediately. It made my day and that post is a reminder of how fun it is to create and I started this blog to share that. Plus, a year later, these gloves were chosen to be part of Ultimate Bundles first ever Handmade Bundle! 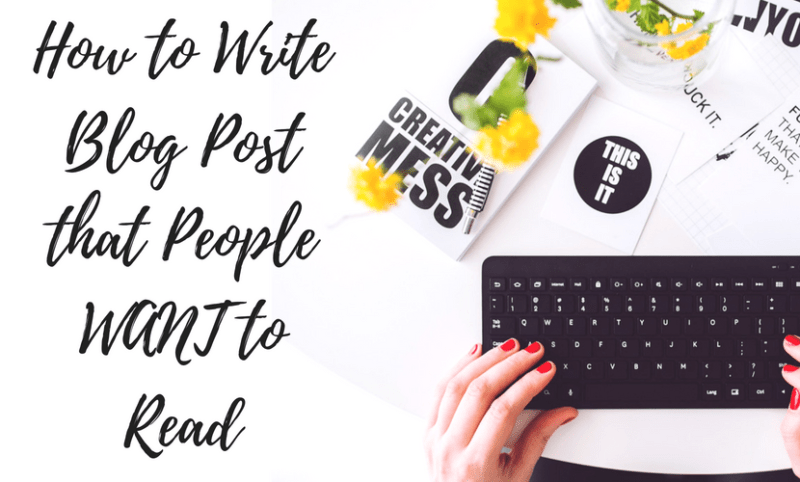 And there you have it, my best tips on how to write a blog post that people WANT to read! I hope this gives you a head start and gives you some ideas on what to write about. If you haven’t already started your blog, don’t forget to read this post on how to setup with Bluehost and WordPress. 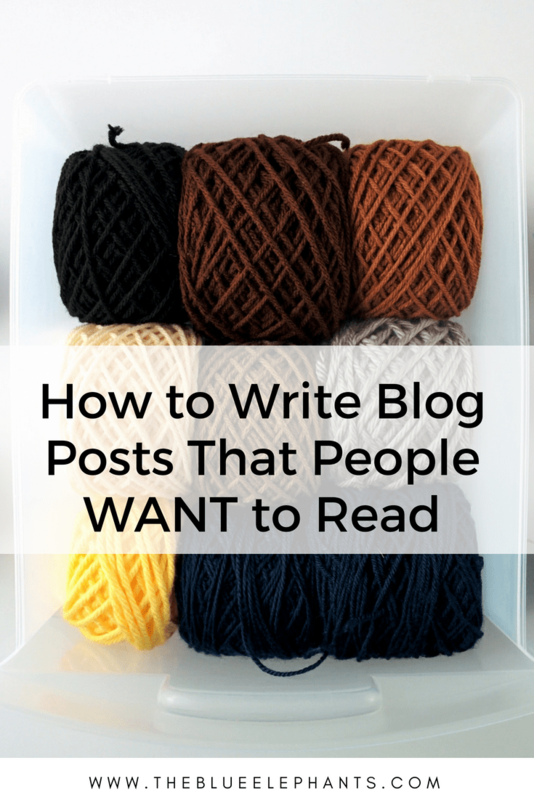 Or read the next post all about how to get people to your blog and stay for more: Getting Blog Traffic and Building a Community. Thanks so much for reading, and I’ll see you all soon!